Bernice Lorraine Hatfield obituary. Carnes Funeral Home. 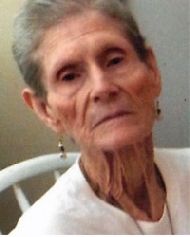 Bernice Lorraine Hatfield, 81, of Texas City, TX passed away at Harbor Hospice in Houston, TX on April 2, 2015. Bernice was born October 12, 1933 in Texas City to John Hoff and Agnes Wehrly Hoff. She is preceded in death by parents, husband, Harold Hatfield and brothers, Chester, Sid, Pete and Donald Hoff. She is survived by children, Sheri Adamcik, Kim Hatfield and wife Lucy, Vicki O’Rourke and husband John; grandchildren, Christopher Adamcik, Cory and Kristen Hatfield, Kalie Garza; great grandchildren, Cade Hatfield, Kambree Trevino and sisters, Joyce Newman, Ruth Wetzel, Hazel Surratt. Bernice was a very outgoing, generous and giving person and took great pleasure in being with people and visiting friends and family. A special thanks to Clear Lake Regional Hospital, Memorial Herman Hospital and Harbor Hospice for the excellent care given to Bernice. Funeral Services will start at 3:00 p.m., Tuesday, April 7th, 2015 at Carnes Funeral Home in Texas City with Reverend Wayne Clement officiating. On-line tributes/condolences to the family can be made at www.carnesfuneralhome.com.